Nothing Scheduled Today in MusicMaster… Help! | by Aaron Taylor – WELCOME TO OUR INTERNATIONAL SUPPORT! We often will get calls or emails in our support department from a user who indicates they’ve attempted to schedule a day part, full day or longer time period and nothing ended up scheduling. Here are the most common culprits, and areas to review in your databases that usually will point to this occurrence. 1. Make sure that the active categories are checked off in the Automatic Scheduler, categories to schedule column. Seems so obvious, right? 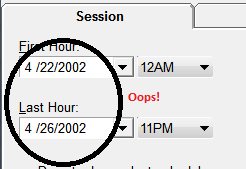 More often than not, for whatever reason (whether it’s a new database, or new categories that have just been created, or someone was testing something else related to scheduling) go ahead and click the CHECK ALL icon (the double check boxes with the blue checks at the top) and try the target time period again. While you are here, check that the First Hour/Last Hour Session scheduling times are within the correct time/day/date/year for the scheduling run in question. 2. Check your assignment grid. 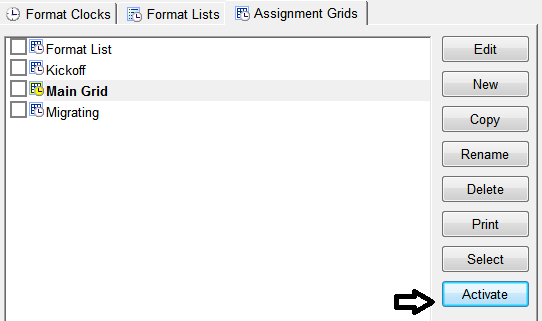 Go to DATASET-CLOCKS-ASSIGNMENT GRIDS and make certain you have no blank spaces in the day part or day in question. Also, you may want to verify that the grid you think is supposed to be active, actually is (look for the one with the clock that is yellow). It doesn’t need to be checked to be active. However, if the wrong grid is active you can correct this by clicking on the correct grid and then selecting ACTIVATE in the lower right hand corner. 3. 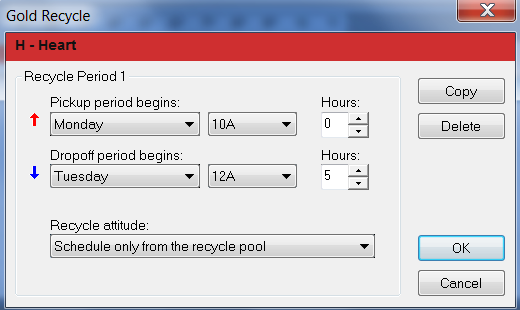 Check your Gold Recycling pick up and drop off periods, as well as Recycle Attitude. Make certain if you have “hard” recycling attitudes set (i.e. “Schedule only from the recycling pool”) that there are records to be picked up. In the example, below there would certainly be a scheduling issue for all categories set in this manner. Our hope is that this summary will help you self-diagnose this issue should it occur for you.